The President directs and represents the foundation in its dealings with third parties. The executive committee is composed of the President of the foundation and Vice-Presidents of the foundation board. The executive committee of the FIRS foundation and the executive commitee of Servier SAS, the holding company of the group, comprise the same members. The President submits the main points of the general policy of the group and the considered strategic operations to the executive committee for their approval. 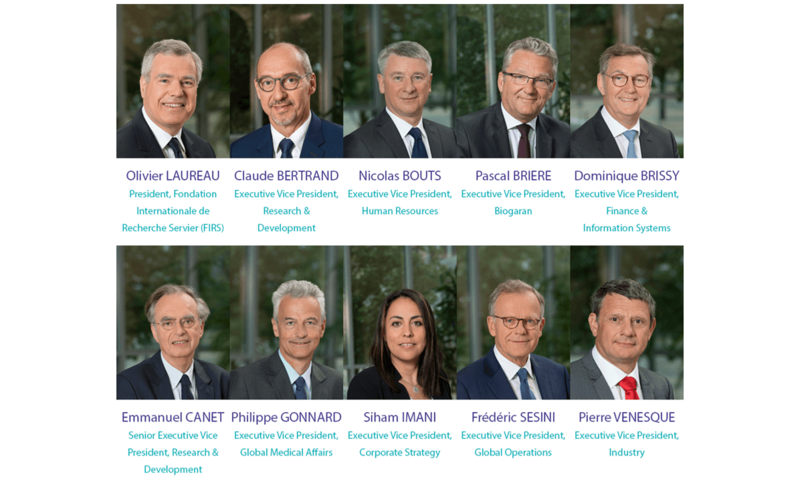 Executive Vice-Presidents: Claude BERTRAND, Nicolas BOUTS, Pascal BRIERE, Dominique BRISSY, Emmanuel CANET, Philippe GONNARD, Siham IMANI, Frédéric SESINI, Pierre VENESQUE. The other members of the foundation board must be consulted by the President of the foundation regarding the main points of the group’s general policy. The term of office for members of the foundation board is 10 years. The term of office for the President and Vice-Presidents is 5 years. outgoing members of the foundation council can be re-elected by their co-members. The President of the foundation can also appoint new members. the outgoing President can be re-elected by the foundation board members. Otherwise, the members of the foundation board can elect a new President. the outgoing Vice-Presidents can be re-elected by the foundation board members. The President of the foundation can also appoint new Vice-Presidents.